Sometimes simplicity is the best. Like the easy breezy grilled chicken marinade I invented the other day. As a person who loves chicken dishes and couldn’t get tired of them, ever, I’m constantly looking for different and original methods to cook chicken so I can serve it more often without the risk of getting bored. My goal is always the same, juicy, tender, succulent chicken that packs a flavor punch. For me, marinating is the way to go: A marinade infuses a ton of flavor and when we grill the meat, it keeps the chicken moist and it keeps it from sticking to the grill. Marinades can be usually whipped up from pantry ingredients, such as this one. Lime juice, garlic, chili powder, sage, oregano, and cumin: really quick to put together, wicked moist, and oh-so-tasty. That’s why I called it “Blow Your Mind” — I honestly didn’t expect it to be this flavorsome. It has a southwestern flair to it. The lime gives the chicken a great zing, the chili powder adds a bit of heat and an awesome deep flavor while the cumin and the herbs add an earthy and pungent flavor. It’s great in salads, sandwiches or wraps. I once sliced it up and served it with corn tortillas, Mexican rice, avocado, queso, and sour cream for a wonderful dinner. 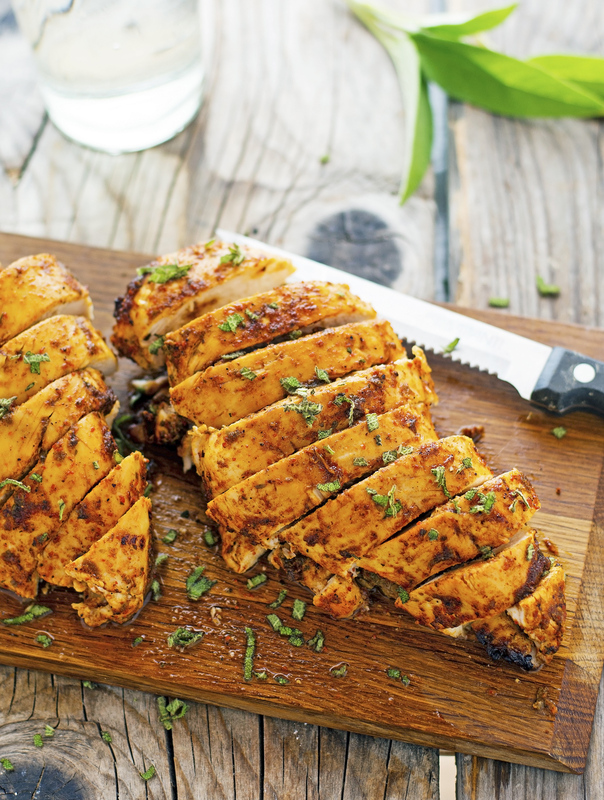 “Blow Your Mind” Grilled Chicken Marinade Print this recipe! In a small bowl combine lime juice, olive oil, chili powder, sage, oregano, cumin, and salt. Transfer marinade in a small saucepan and bring to a simmer over medium-low heat. Cook for 10 minutes or until reduced by half. Brush the chicken with the marinade. Sprinkle with a bit of sage or oregano and serve. One serving yields 236 calories, 9 grams of fat, 2 grams of carbs, and 36 grams of protein. I just bought a grill this spring...and this is definitely next on the list to make! Can't wait to try; I love marinading chicken as well for variety! Holy mackerel, this chicken definitely does look mind blowing! 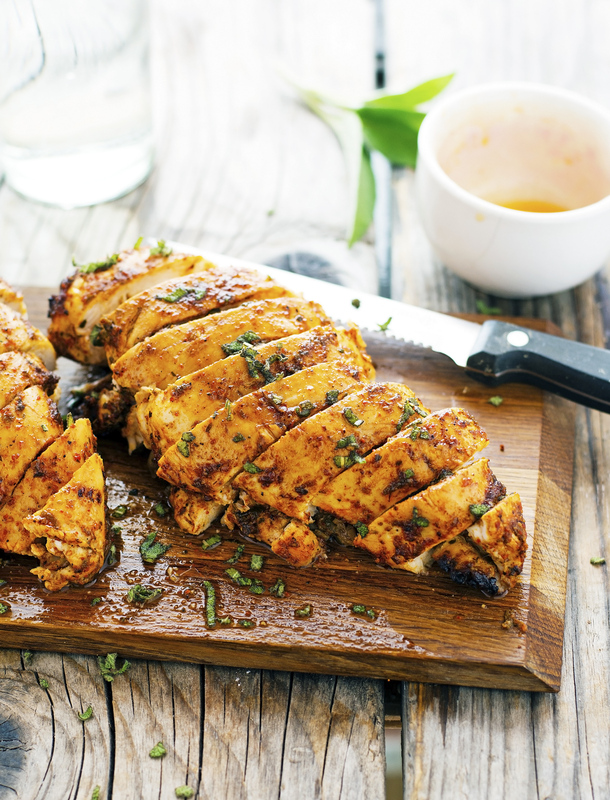 I love grilled chicken and am always looking for new marinades, so this is perfect! I'll be trying it pronto. That sounds delicious. 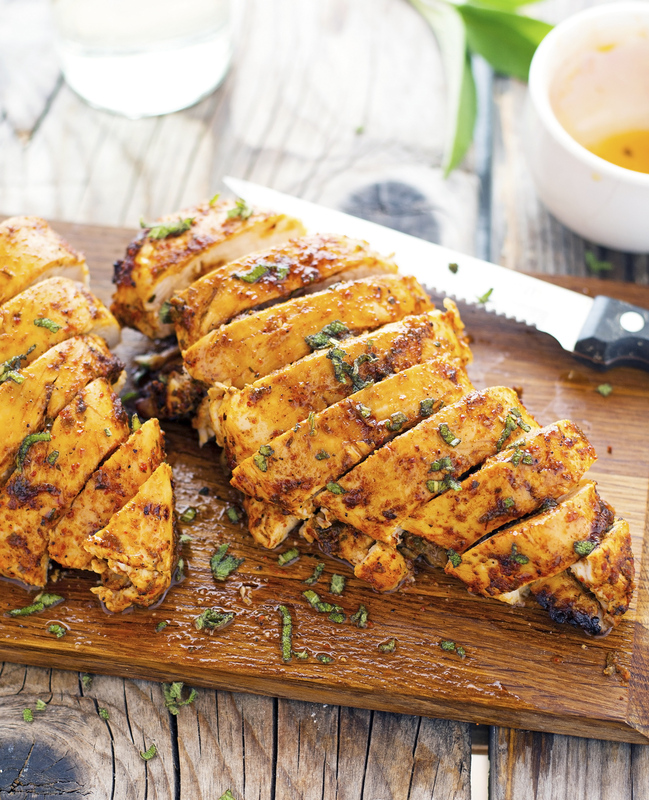 I love to squeeze lime over my chicken but I've never thought of making a marinade before. I'm definitely going to try this! Not helpful for the rest of us that use our phones for your website though, is it?